At Affordable Family Storage, we want to help you preserve and protect everything that’s important to you, down to the last detail. Cast-iron cookware is pretty resilient, but if it isn’t stored properly it can quickly become scratched and rusted. 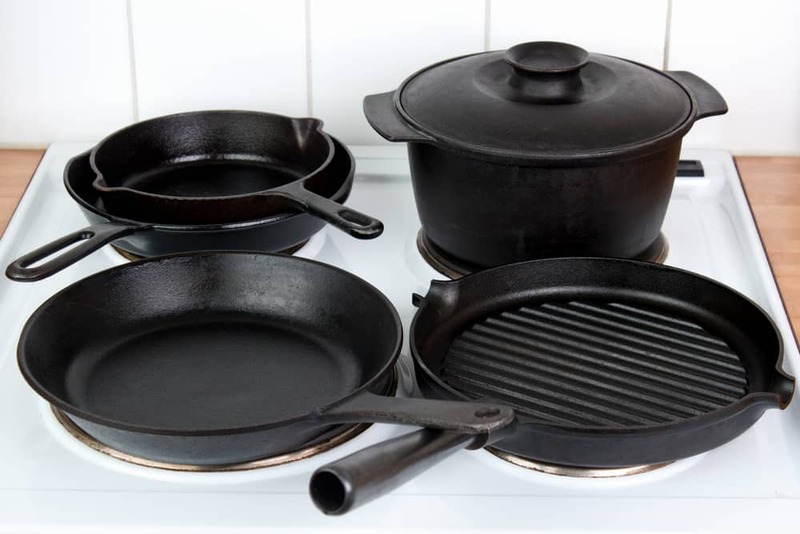 In today’s blog, the storage pros at Affordable Family Storage in Des Moines are here with helpful tips and tricks for storing your cast-iron cookware for lifelong preservation. Before packing into your storage unit at Affordable Family Storage, make sure your cast-iron cookware is thoroughly cleaned and dried. Rinse and scrub away any food material on the surface of the cast-iron, using warm water and a sponge or non-metallic brush. If need be, you can use a very mild soap solution for cleaning, but it is recommended that you stick to water. For stuck on food material, try using coarse salt and a non-metallic brush. After cleaning, rinse and dry thoroughly. To ensure that your cast-iron item is completely dry, heat it on the stovetop over medium-low heat for 5-10 minutes. While it is still warm, treat with a light coating of oil, wiping away any excess once the cast-iron has cooled. Managing moisture is the number one priority when putting cast-iron into storage. Start by packaging each piece of cast-iron cookware wrapped in paper towels. This will allow air movement around the item, so no moisture becomes trapped against the surface. It will also prevent cast-iron items from scratching against each other, which can ruin the finish and result in rusting. Consider placing silica gel packets in with your cast-iron items. They will absorb moisture to ensure rust-free preservation. If you are going to be storing your cast iron for an extended period of time, it may be a good idea to use a preservative wax to coat the surfaces of your items. This will ensure that no rust develops, even for long periods of storage. Once you have properly cleaned and dried your cast-iron cookware and properly packaged it to prevent moisture and scratching, the last step is choosing a storage container that will safely protect your items. The best storage solution is also a simple one: choose a sturdy plastic container with a tight-fitting lid. This will protect against moisture, dust and pests. Just make sure that your container does not make a completely air-tight seal, as cast-iron cookware must breathe to prevent moisture accumulation. At Affordable Family Storage, we are here to help protect and preserve everything that is important to you. We offer climate-controlled storage solutions that actively manage temperature, humidity and air quality, so your items are safely preserved. We also offer 24/7 security surveillance, so your items are protected around the clock. To learn more about the excellent amenities offered by Affordable Family Storage, contact us today and check out our website.